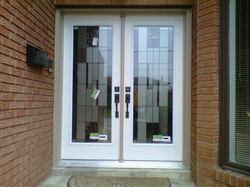 JR WINDOWS DOORS & GARAGE DOORS has been serving the GTA for over 15 years! 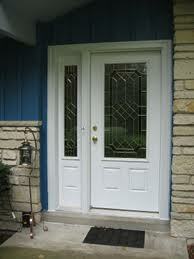 We are your window and entry door specialists and would gladly give you a free estimate. Give us a call or email us and one of our friendly staff members would be glad to assist you. Our windows and doors meet or exceed ENERGY STAR certification. This ensures maximum energy savings for the environment and lower energy bills for the homeowner. ENERGY STAR® qualified windows, doors and skylights will save you money by reducing your energy costs. 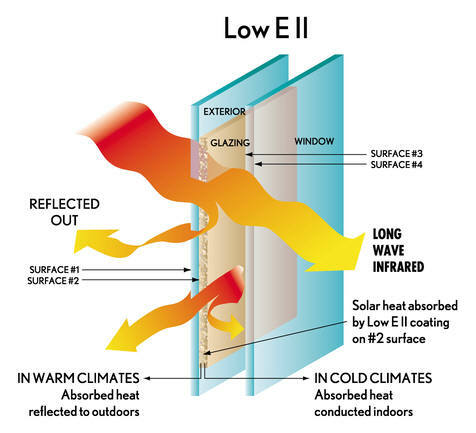 All our windows automatically come with LowE/Argon Gas Filled for added energy efficiency. Between each pane of glass, low-E argon windows contain argon gas. Argon gas is considerably more effective at reflecting heat than regular air. This means that unwanted heat is deterred from entering the home and interior heat is prevented from leaving. Whether in spring, summer, fall or winter, the result is a more stable climate within the home. Casements are best known as the infamous “Crank Windows”, casements are a great choice for the front of the house as their screens are on the inside of the house allowing a beautiful, clean look from the outside. Casements work on a bulb seal system similar to the concept of how your fridge would close; this is done by compressing the air out of the seal for a tight fit. Single Slider Tilts are very similar to Double Slider Tilts except that one side is fixed providing extra stability and a cleaner view. The tilt in feature is very handy for second floor windows, especially if you are of small stature and have trouble reaching out to clean glass. Single Sliders are generally designed for back bedrooms, dining rooms, kitchens, and large horizontal openings. Single Hung Tilts are generally used in older-style homes. Single Hung Tilts are in construction the same as Single Sliders except for the fact that they have spring-loaded mechanisms to hold the sash in place when you slide open the window. Single Hung Tilts are generally for the back, side, or top floor of a house as they have screens on the outside. For exterior appeal Single Hung Windows look good in front bays and bows as an option instead of casements. Single Hung windows can generally suit the style of any room in the house whether alone, or in combination. Awnings are the same construction as a casement except for the fact that there are two locks instead of one. Awning windows are generally done in kitchens, bathrooms and sometimes as an upgraded basement window. Double Sliders are definitely the most convenient window to clean out of all types of windows available on the market today. The tilt in feature is very handy for second floor windows, especially if you are of small stature and have trouble reaching out to clean glass. Double Sliders are generally designed for back bedrooms, dining rooms, kitchens, and large horizontal openings. Double Sliders can also be turned into End Vents(three-panels), for extremely long, or large horizontal openings. Double Hung Tilts are generally used in older-style homes. Double Hung Tilts are in construction the same as Double Sliders except for the fact that they have spring-loaded mechanisms to hold the sashes in place when you slide open the window. Double Hung Tilts are generally for the back, side, or top floor of a house as they have screens on the outside. For exterior appeal it is best to keep Double Sliders, and Double Hung Tilts away from the front, main floor of a house. 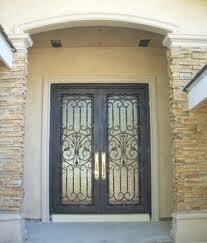 Patio doors are the most convenient product available for renovation on the market today. 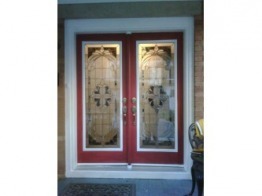 Patio doors also happen to be one of the most secure options available. Standard tempered glass and steel reinforcement allow for the highest levels of security for a door opening. Patio doors are affordable because of standard sizes such as five and six feet. 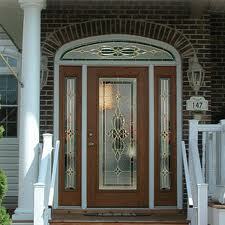 There are numerous options for patio doors including grills, colors, custom sizes, locks, glazing and blinds. 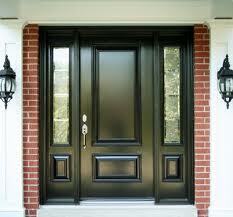 JR Windows and Doors prides itself on getting the job done right. Unlike some competitors we finish all jobs with high grade 3" wood interior moulding already included in the installation price (vinyl maintenance free moulding also available upon request). We DO NOT believe in upcharging our customers for upgrades, all our windows come standard with multi-point locks as well as Low "E" Argon filled glass at no additional charge. JR Windows and Doors specializes in full brick to brick installation.We also redo your old and cracked caulking to ensure your home is draft and leak free at an average price of between $20-$25 per window if windows do not need replacing.